The White Clouds subdivision is a new home community located in West Boise, ID. New homes in White Clouds range in price from $240k to $313k and size from 1,408 to 2,578 Sq. Ft. Floor plan options are available with three to four bedrooms and two to 3.5 bathrooms. The subdivision includes many nearby amenities including a community park, neighborhood schools and The Village at Meridian. Located on the border between Boise and Meridian, the best of both worlds are just a quick drive away. Learn more about White Clouds real estate below. Homesites: This 12.6-acre community offers 102 building lots ranging in size from 0.106 acres (4,620 Sq. Ft.) up to 0.138 acres (6,010 Sq. Ft.). 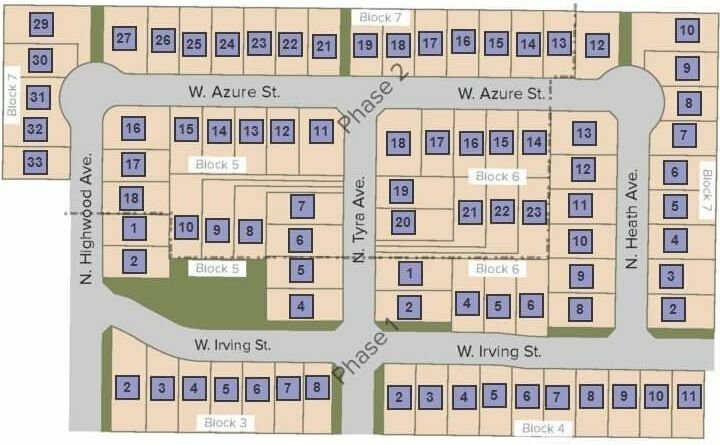 Welcome to WeKnowBoise.com, the local authority on Boise New Subdivisions. Select your desired neighborhood to view current homes for sale, schools, community information and home builders. South on Cloverdale Rd from W Fairview Ave. Turn Right on W Irving St. The We Know Boise real estate team assists homebuyers and sellers in Boise, Meridian and surrounding Idaho locations. Questions? Contact us online or call (208) 391-4466.